It is the time of the year when in the northern hemisphere the colors on the trees are turning again. I challenge you to photograph “Fall” and continue to build you portfolio. 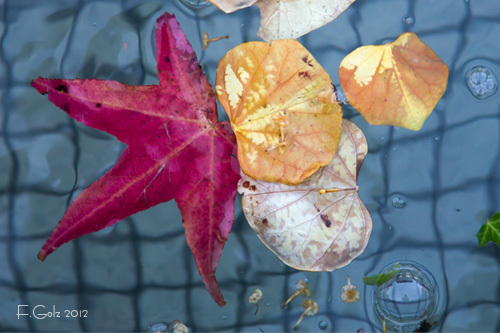 I discovered these leaves inside a fountain in Walnut Creek, CA. Enjoy and keep on looking for great photographs.